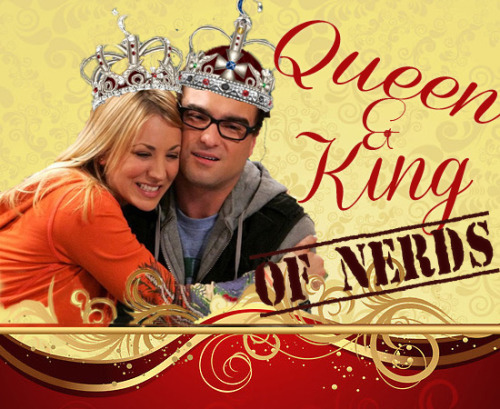 In the first of our character-centric episodes, we focus on Leonard - King of the Nerds! Listener question - will his time away prompt Penny to ask him to move in? And will Penny have a defining moment when she realizes she's ready to propose? When you say "ship" or "shipping" or "shipped", what is that word considered slang for? It comes from relationship - basically it's when you support a romantic relationship between two characters, or want one to happen. Which realtionship from Leonard besides Penny was a good one and why? The episode was great! I love Leonard´s day! Yes, it's twenty minutes. Did I really say five? Roxanne, we need to stop doing these so late at night. :P Or I could just start using the transcripts. No problem Nicole. I forgive you the late hour recording its normal that you can`t concentrate 100% late at night. Yes you really said five minutes and I was like " What? it was twenty minutes" but whatever it was a human error. Nobody is perfect. And you can answer my question in one of ne next episodes. Hi! This is kind of random but I know you girls are fans of Firefly so you should definitely watch the show Castle! It has Nathan Fillion from Firefly and I think you all would love it. Roxanne actually does watch Castle. I haven't gotten a chance to yet, but it's on my list.